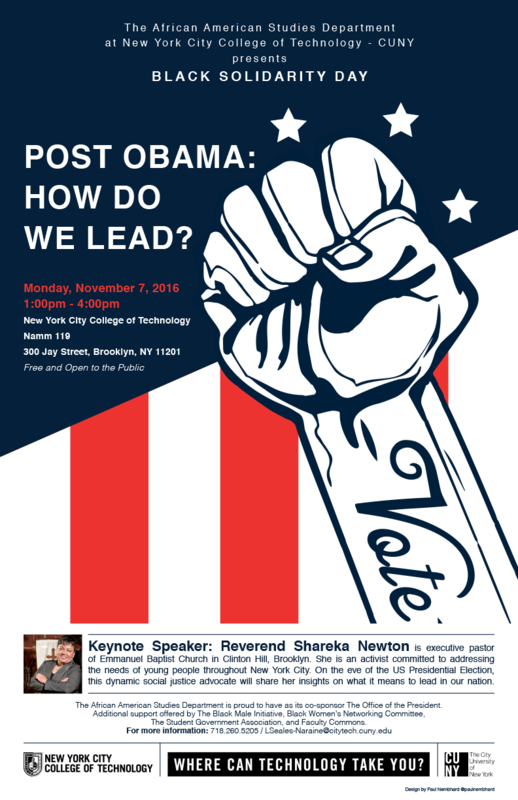 This keynote event provides a space for dialogue about healing in Africana communities. Rashida Bumbray, a Brooklyn-based curator and choreographer, and Senior Program Manager of the Arts Exchange at Open Society Foundations is the featured keynote guest. 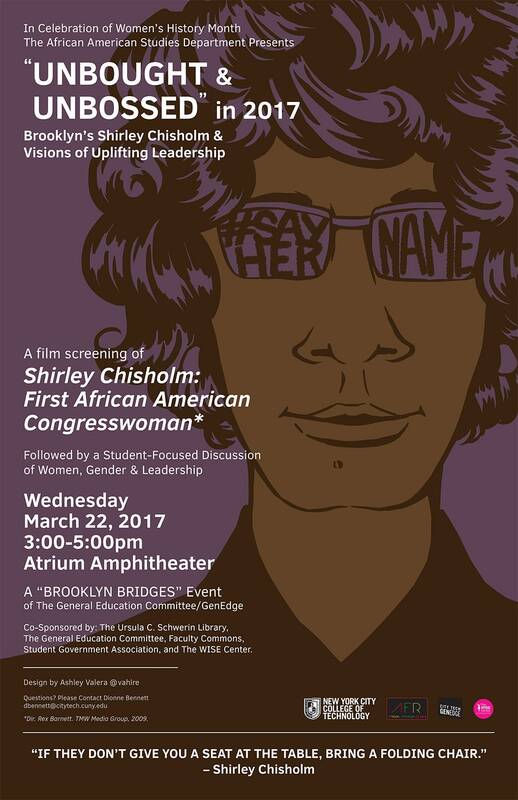 Ms. Bumbray’s talk titled “The Value of Black Spaces” includes an abbreviated screening of Black America Again (with Common, Stevie Wonder, and Rashida Bumbray and the Dance Diaspora Collective). Ms. Bumbray will discuss her participation in Black America Again as an effort to cultivate healing in Freddie Gray’s community in Baltimore and beyond. At the keynote event, Ms. Bumbray will also perform “Untitled (Red),” and there will be a panel discussion and student reading. 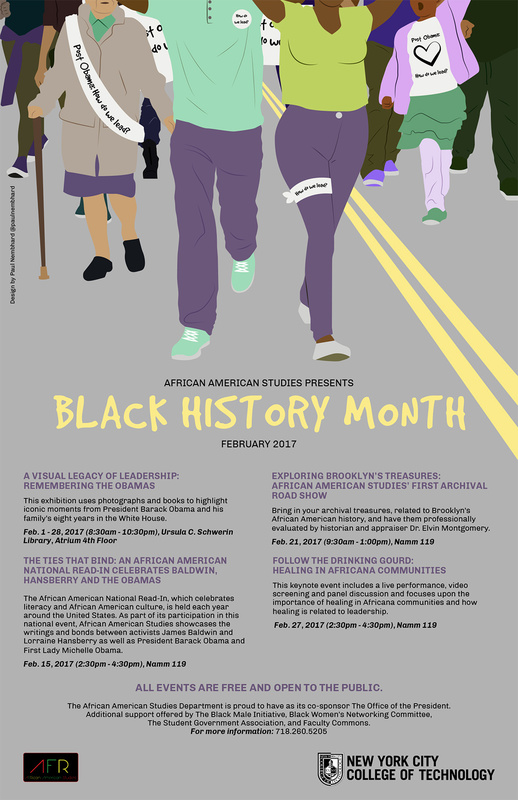 Bring in your archival treasures, related to Brooklyn’s African American history, and have them professionally evaluated by historian and appraiser Dr. Elvin Montgomery. The African American National Read-In, which celebrates literacy and African American culture, is held each year around the United States. 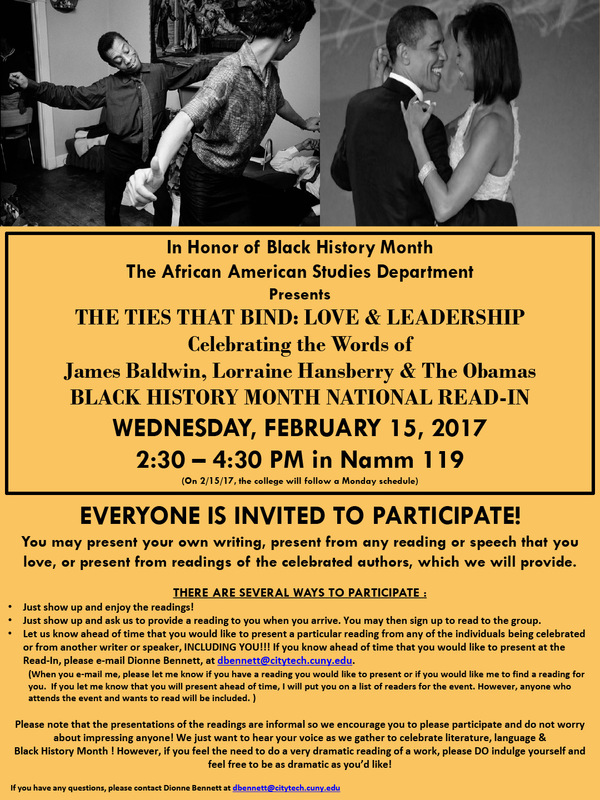 As part of its participation in this national event, African American Studies showcases the writings and bonds between activists James Baldwin and Lorraine Hansberry as well as President Barack Obama and First Lady Michelle Obama. Born & raised in the Clinton Hill area of Brooklyn, Reverend Shareka Newton was reared by her maternal grandmother Priscilla Barnes-Davis. Mrs. Davis instilled a sense of faith & community into Shareka while encouraging her to be inquisitive & to formulate her own ideas. The idea that both God & attending church were important was further developed and eventually grew and flourished through her years growing up at Emmanuel Baptist Church. Rev. Newton attended A. Philip Randolph Campus H.S. in Harlem, NY. She continued her education at Spelman College in Atlanta, GA, where in 2003, she received her B.A. in English. Rev. Newton accepted her call to ministry in the spring of her senior year at Spelman & was licensed to preach & teach the Gospel of Jesus Christ in fall 2004. May 2008, she received her Master of Divinity Degree from Drew University Theological School. Rev. Newton did her field education experience at St. James A.M.E in Newark, NJ. She was ordained on December 13th of 2008 & currently serves as the Executive Pastor at Emmanuel Baptist Church.